Alcohol and confectionary innovator Smith & Sinclair has unveiled a trio of flavoured dissolvable tablets that “create bar-worthy cocktails in seconds”. The Fizz line of tablets are available in three flavours – Tropical Passionfruit, Rhubarb Mimosa and Elderflower Spritz – and have been designed to add to a glass of Prosecco, Champagne, and gin and tonic, or non-alcoholic beverages such as soda. Available from Smith & Sinclair’s website as well as Harvey Nichols and John Lewis, the tablets are vegan and cost £5.99 (US$7.70) for a pack of 10. 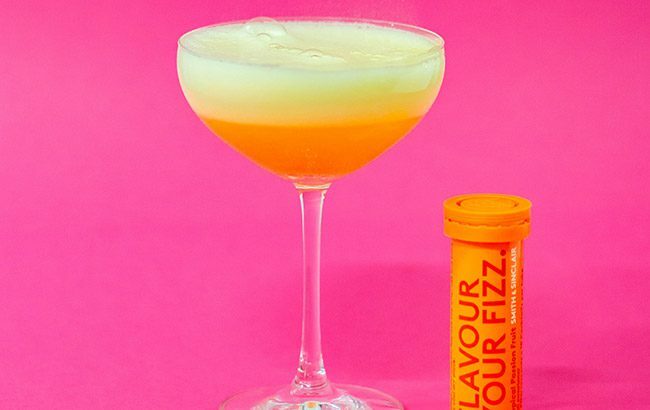 “Maybe you’re hosting a party, bringing the fancy plates out for dinner or just want to fix yourself something nice, one tablet of Fizz transforms your drink before your eyes,” said Melanie Goldsmith, managing director of Smith & Sinclair. Smith & Sinclair recently created a collection of edible paints for Bombay Sapphire to use in its gin and tonic serves.